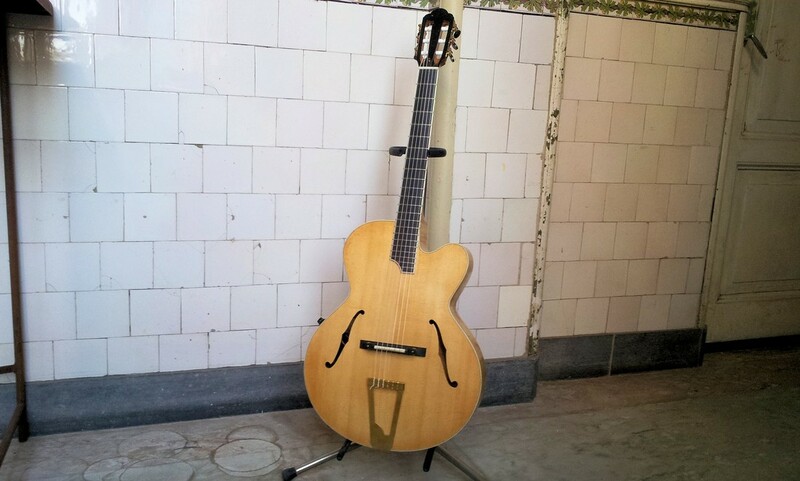 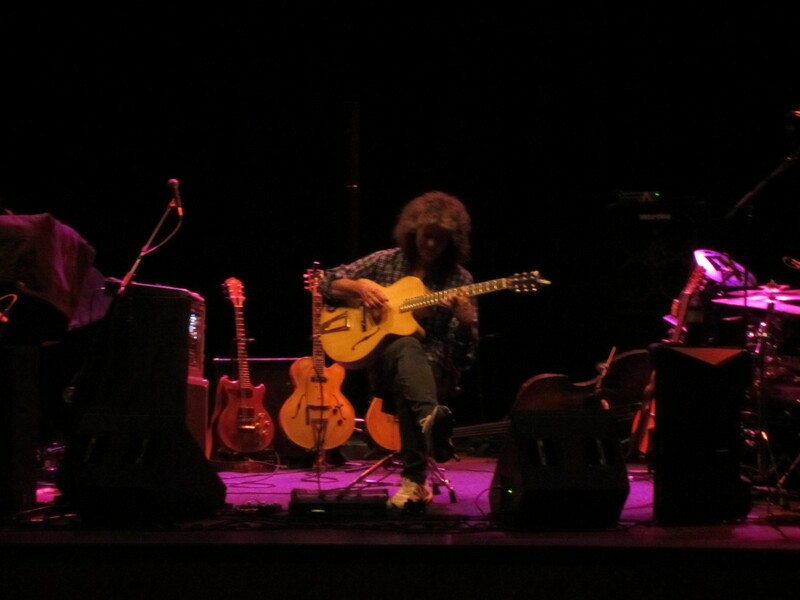 The Old School Dome # 37717 is the first one ever made by request of Pat Metheny. 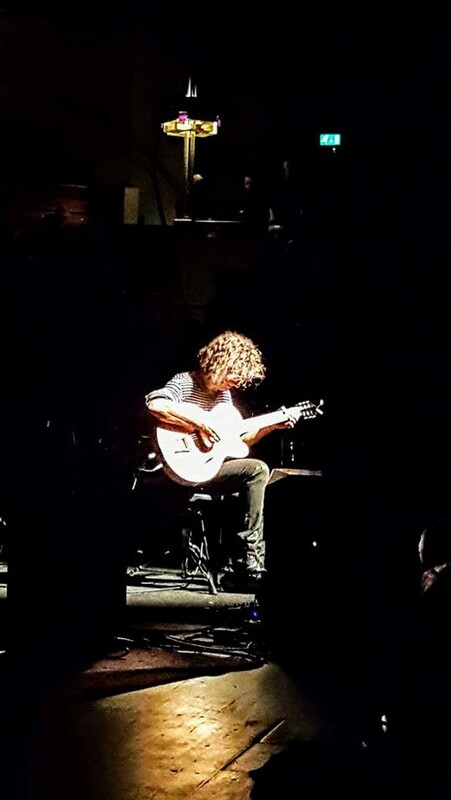 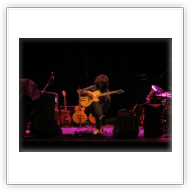 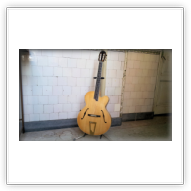 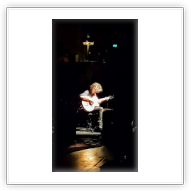 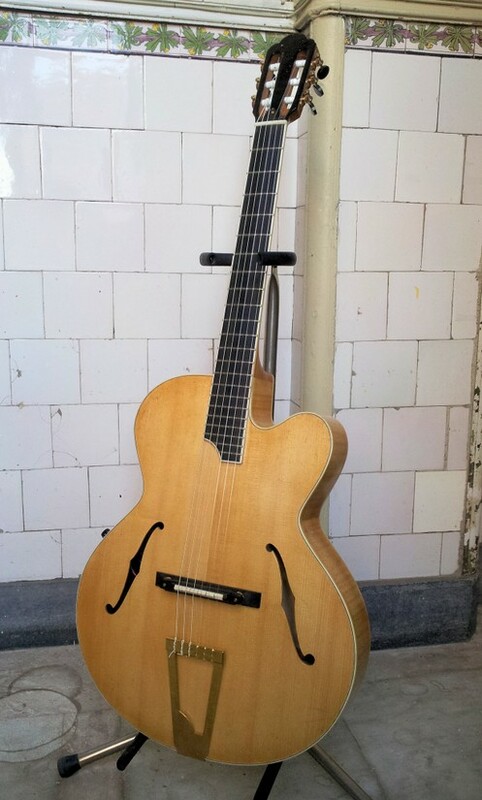 The guitar was delivered to him at an Utrecht, Netherlands show of 'An Evening with Pat Metheny' on November 7th, 2017. 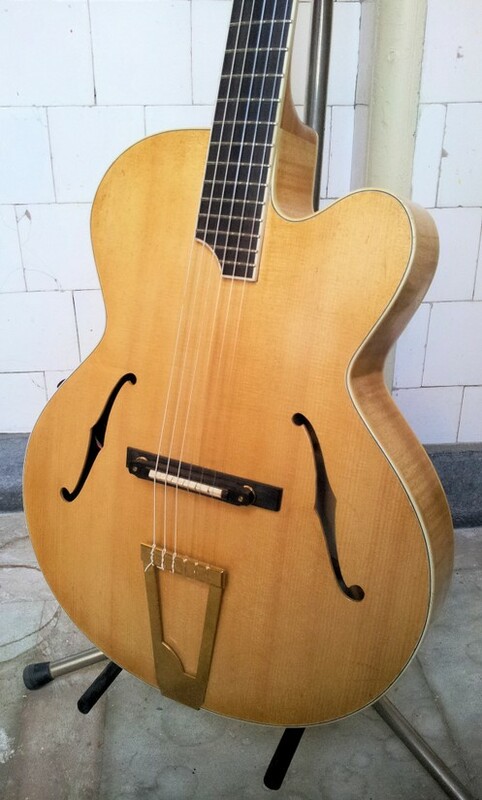 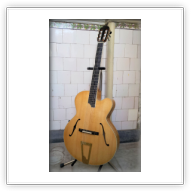 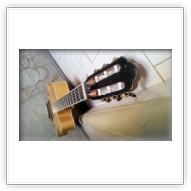 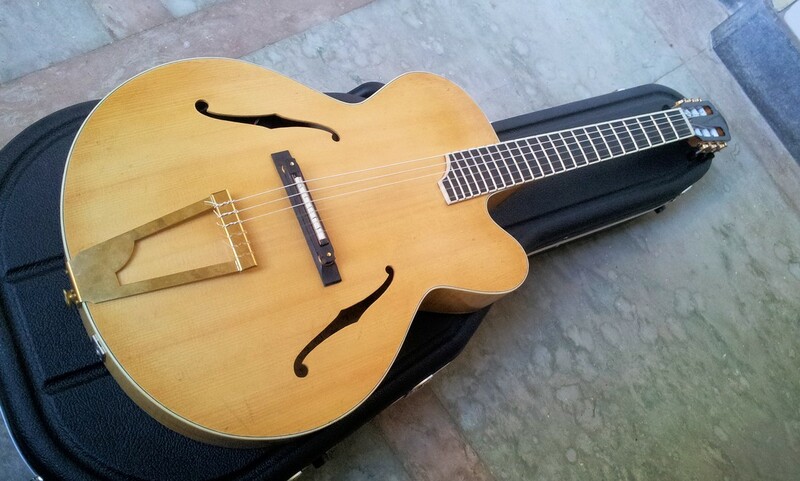 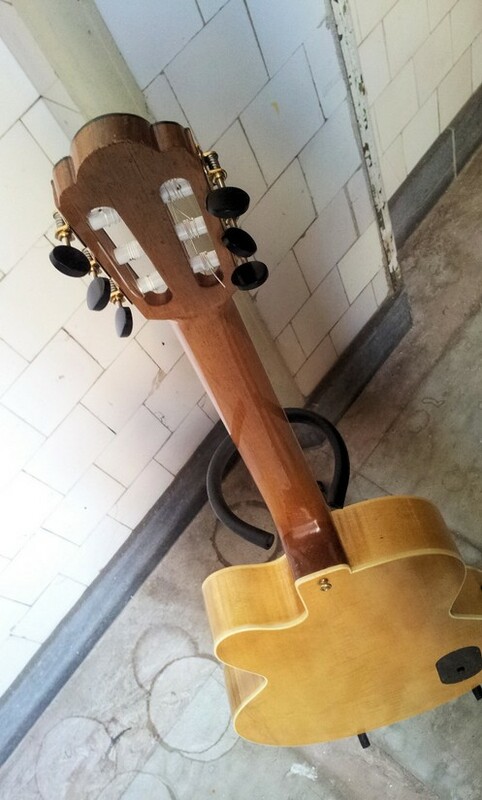 The guitar features an Ovation pickup from 1979 and a FET pre-amp of 1981 with stacked volume and tone control. 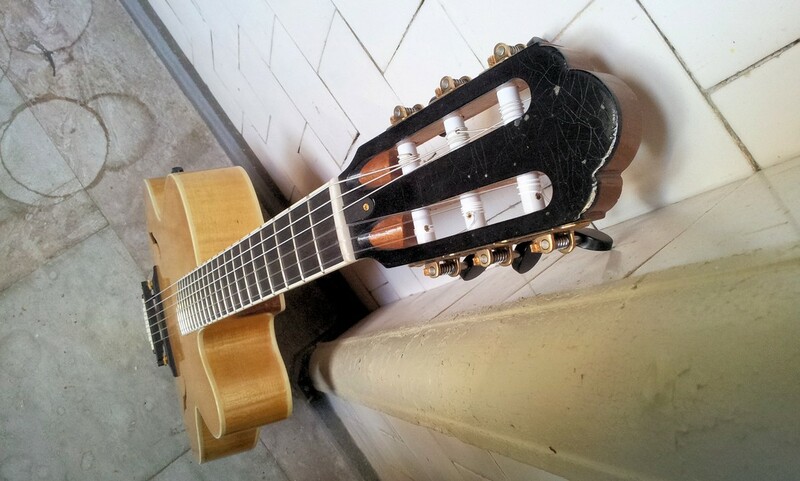 The guitar was played that same night by Pat in concert on the tune 'Farmer's Trust'. 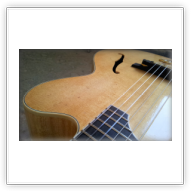 The top of the guitar is made in Lutz spruce; a naturally occurring hybrid, growing among the Sitka and White Spruce in Western North America. 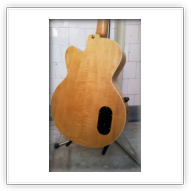 It picks up a bit of each wood's character: high stiffness, low density, and consistent white color. 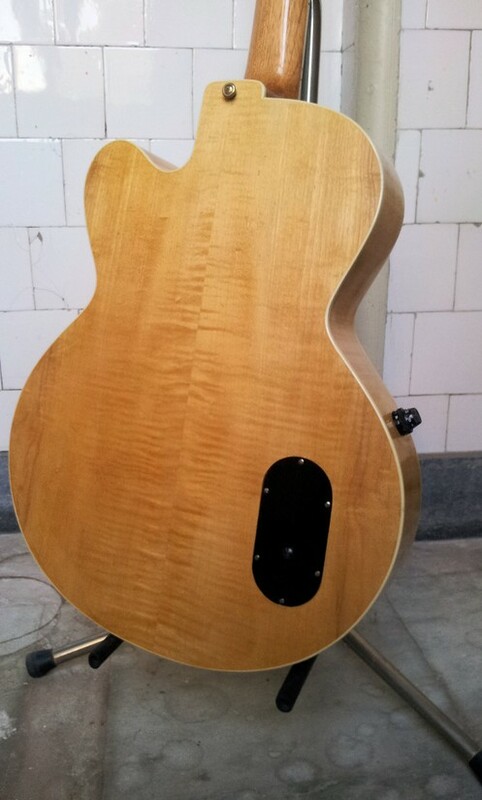 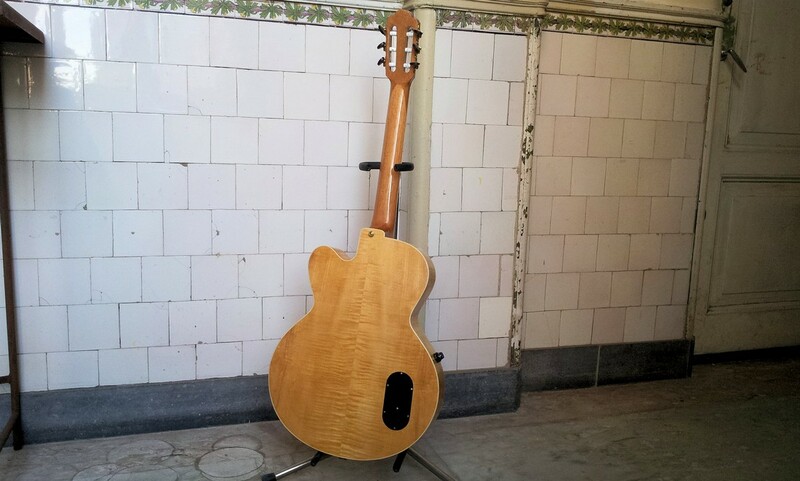 The back and sides are flamed maple, Spanish cedar neck with an ebony fingerboard. 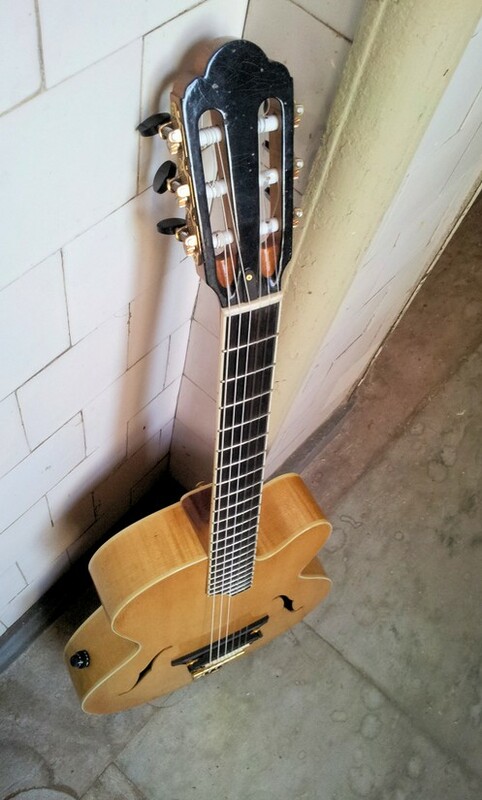 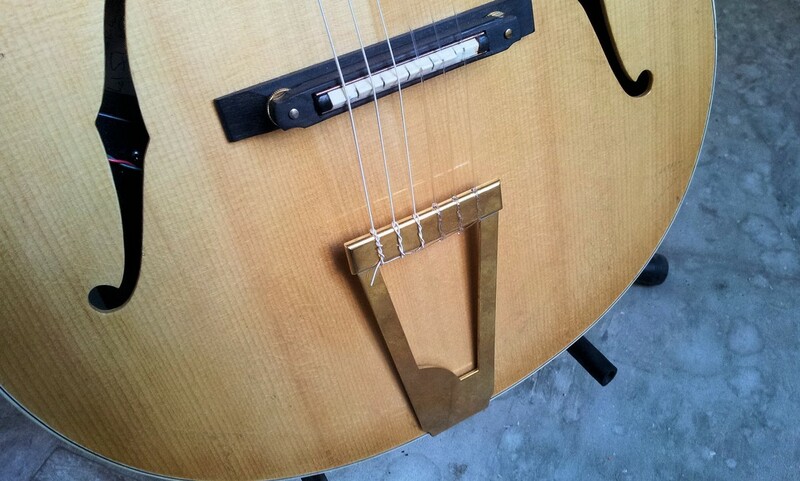 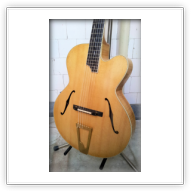 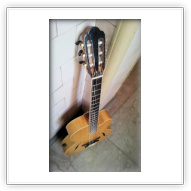 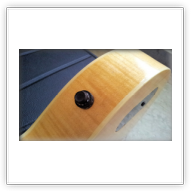 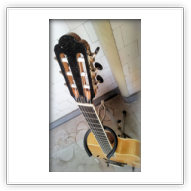 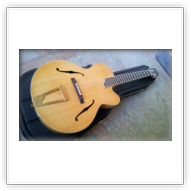 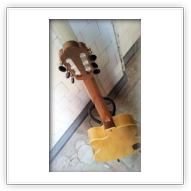 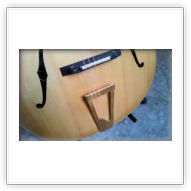 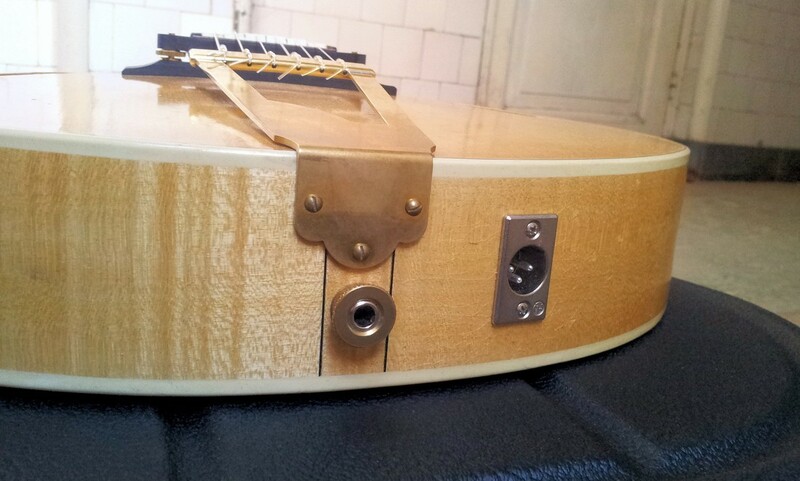 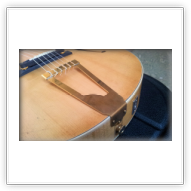 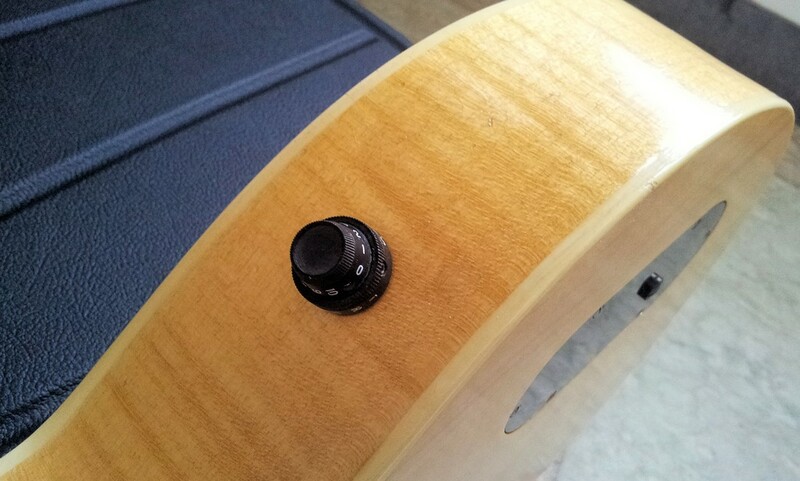 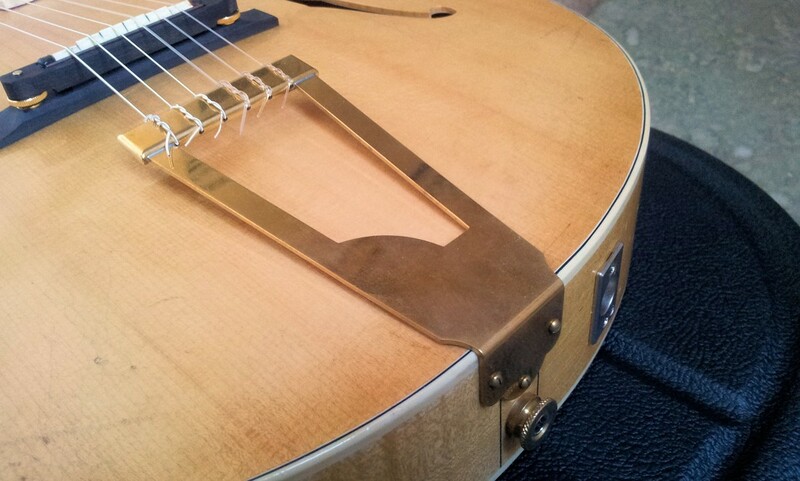 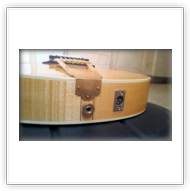 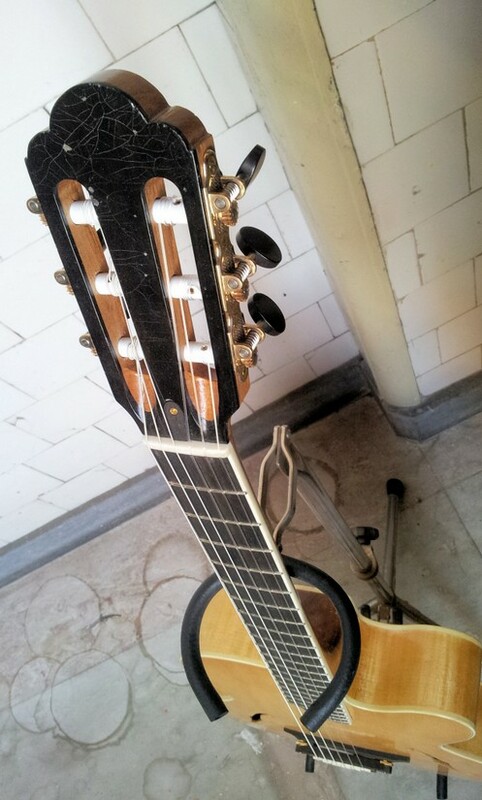 Handmade tailpiece designed by Slaman Guitars, Waverly 'Sloane' tuners. 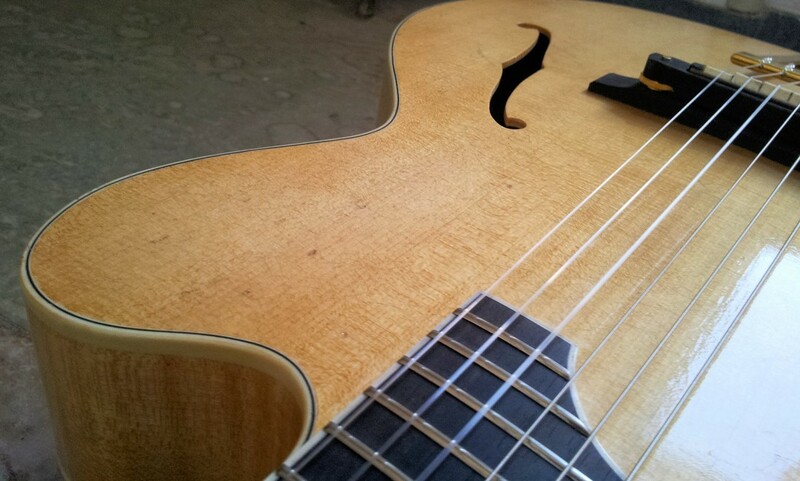 Antiqued nitro cellulose finish.